In the second of a four-part series on the future of education, SMU President Arnoud De Meyer talks about how universities have to keep evolving. By 2025, one in two jobs today will no longer exist, and up to a quarter of jobs will have been replaced by smart software or robots. Singapore Management University (SMU) president Arnoud De Meyer thinks these headline-grabbing predictions by futurists are somewhat sensational, but does not dismiss them. As a university head charting degree pathways for young people, he studies them carefully. "It is true that many of today's jobs did not exist 10 years ago. Who would have thought of being a Uber driver, a big-data miner or a mobile phone app developer 10 years ago?" says the 62-year-old, who was founding dean of Insead's Asia campus and then director of Cambridge University's Judge Business School before taking the helm at SMU. He brings up two key drivers of change that will have an impact on jobs not just in Singapore but globally - automation and "cybermation" of jobs, where robots or smart software take over the jobs of people. Professor De Meyer, who spent much of his academic career studying innovation, stresses that machines are becoming so advanced that low-skilled jobs are not the only ones being threatened. Jobs held by degree holders or "knowledge workers", as he calls them, are also on the line. "Technological disruptions have traditionally affected lower-skilled jobs, but medium-skilled jobs are also increasingly impacted," he says. Accountants and business and stock analysts are among those likely to be affected, he says. Another aspect of work that has changed and will change further - how and where it is done. Prof De Meyer believes that the hierachical structure of companies will flatten out and that organisations will restructure themselves to allow international telecommuting and facilitate the collaboration of virtual teams in a human cloud. But what do these changes mean for universities, which are tasked with transforming young people into economically productive individuals? Prof De Meyer says that, instead of trying to prepare young people for specific jobs, universities will have to prepare their students for "a portfolio of careers". To do this, universities need to take a different approach. "Universities cannot think that their job is done when their students put in three to four years and complete the required number of credits," says Prof De Meyer. While a solid academic foundation and developing cognitive skills are important, it is the non-cognitive skills that will enable workers to learn and adapt such basic knowledge and skills to different contexts, he stresses. Universities need to foster capabilities in areas such as flexibility, innovation and social intelligence. Students must know how to make choices and decisions, and how to learn from experience. Prof De Meyer stresses that knowing how to learn, on the job, will be crucial. As economies and jobs will continue to shift and change in unexpected ways, graduates must be able to receive new information, process it and apply it on the job. And the lecture-tutorial mode of teaching is not the best way to nurture this capability. Universities must bring the real world into the classroom and make education more experiential, says Prof De Meyer. "Students used to attend lectures and tutorials and study from printed textbooks. These days, they are always connected, able to retrieve information on the go, and move seamlessly from classroom learning to virtual learning," he says. To optimise learning, universities must be prepared to try out new ways of teaching and learning. SMU is doing just that with SMU-X courses, where lessons are centred on solving real-world problems. A public policy management course, for instance, is taught by getting students to work with a welfare organisation to draw up programmes for disadvantaged families. Professors guide students through their projects. Students are graded on their participation and the final outcome of the project. Prof De Meyer says the collaborative way of learning in SMU-X is designed to mimic the workplace. Students in SMU-X teams are drawn from different faculties so they learn to work with people from different backgrounds, who might have different viewpoints. But more importantly, the real world is brought into the classroom, as the projects come from industry or organisations. Currently, some 150 companies have partnered the university to offer projects to its students. Says Prof De Meyer: "Sometimes there are no perfect solutions, and students are uncomfortable not having the answers, but such learning is powerful as they get to experience real-world complexities." He notes that the university, which was started 16 years ago, is known for doing things differently. 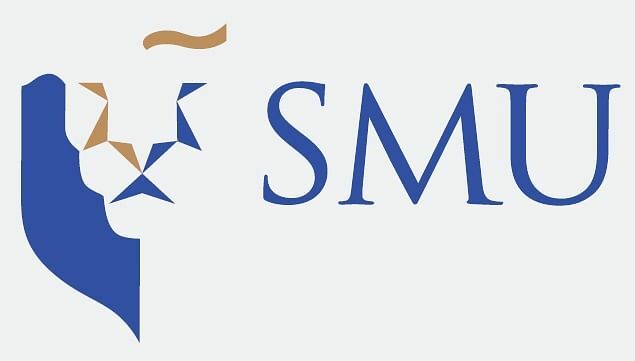 SMU introduced broader admission criteria to select students based on aptitude and not just grades, and the American style of teaching in small seminar groups. It also gave students marks for speaking up in class. Says Prof De Meyer: "Students complain about it, especially in the first year, but employers note the difference in SMU students. Being able to communicate well and speak up is an important skill to have." He says the university has to keep evolving. "X can stand for many things - experiential, extra, experimental, the X-factor - that special quality which we hope to nurture in our students. "But X, in mathematics, denotes the unknown quantity." He adds: "We call it SMU-X because we don't know what universities of the future will be like, what would suit the students then, but we must keep experimenting, changing and evolving."